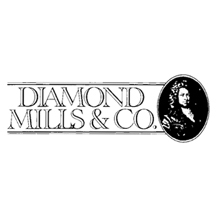 Diamond Mills & Co is an independent firm of Estate Agents, Valuers and Auctioneers with links to the town dating back over 100 years. The senior partner of the company is Nigel Papworth FRICS, who joined the company in 1979, working in association with the then proprietors James Diamond and Godrey Mills. Nigel Papworth’s great grandfather Shuckforth Downing worked as an Auctioneer in the town in the 1880s, a tradition proudly remembered by the display in our offices of a post bearing his name and promoting auction at The Victoria Hall Sale Room being held on Wednesday 12th September.....1888! The former proprietors James Diamond and Godfrey Mills started trading shortly after the Second World War taking over the firm from R J Girling which had been established in the town since 1908. Today, the company is one of the longest established Estate Agencies in Felixstowe and operates from large prominent premises at 117 Hamilton Road, which is Felixstowe’s main shopping thorough-fare.